The “holder” of the treatment is BOZZI S.a.s. by Bozzi Gilberto & C., represented by the legal representative pro tempore, domiciled for the purpose in via A. Palanca 14/16 62010 Appignano (MC). The sole responsible for the treatment is BOZZI S.a.s. of Bozzi Gilberto & C., domiciled for the purpose in via A. Palanca 14/16 62010 Appignano (MC). The treatments associated with the web services of this site are carried out by only those responsible for the treatment. Some personal data whose transmission is implied in the use of Internet communication protocols. These are information that is not collected to be associated with those who are necessarily identified, but who by their very nature could also identify users through any processing and association with other data held by third parties as well. This category of data includes the IP addresses or domain names of the computers used by the users who connect to the site, the URI (Uniform Resource Identifier) ​​notation addresses of the required resources, the time of the request, the method used to submit the server request, file size obtained in response, numeric code indicating the response status of the server (good end, error, etc.) and other parameters related to the operating system and the user’s computer environment. The voluntary, explicit and voluntary sending of e-mail to the addresses indicated on this site involves the subsequent acquisition of the address of the sender, necessary to meet the requests as well as any other personal data included in the letter. For these data, no non-consensual communication to third parties is foreseen or disseminated. Summary information specs will be progressively reported or displayed on site pages prepared for special services on request. For these other methods of treatment, information will be provided in advance on any third party’s knowledge. No cookies are used for the transmission of personal information, nor are any persistent cookies of any kind, session cookies or user tracking systems used. persons to whom personal data are referenced have the right at any time to obtain confirmation of whether or not the same data exist and to know its content and origin, to verify its accuracy or to request its integration or updating, or rectification (Article 7 of Legislative Decree 196/2003). 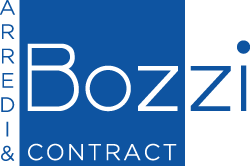 Requests should be directed to the data controller BOZZI S.a.s. by Bozzi Gilberto & C., via A. Palanca 14/16 62010 Appignano (MC), or by e-mail at info@bozziarredi.it.